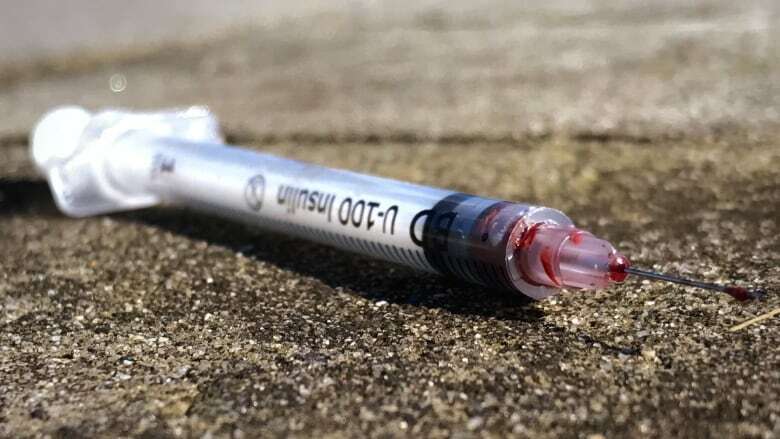 The issue of discarded drug syringes on Vancouver streets is a problem that spans the city, but the unsightly and potentially hazardous needles are just a symptom of a much more serious crisis. Sean Paddison injects a syringe full of heroin and cocaine into his vein at the Overdose Prevention Society's clinic in Vancouver's Downtown Eastside. When he's done, Paddison drops the used needle into a big yellow box next to his injecting station. "If I'm using away from my house, I come to a safe injection site, where they've got the place to get rid of them. If I'm using somewhere like an alley, I'll always use a rig box," he said. 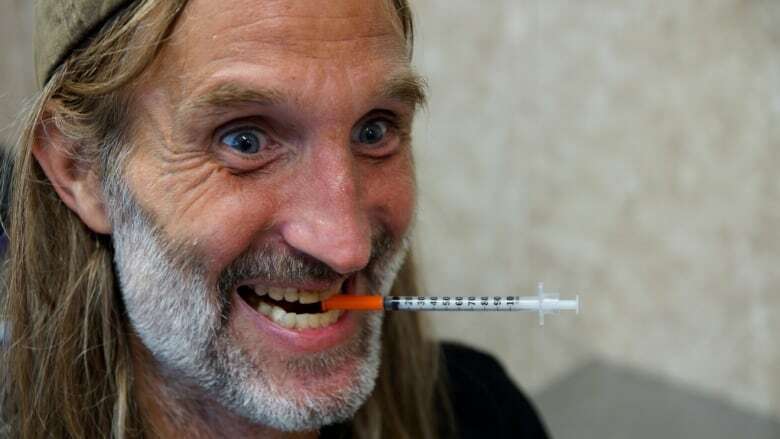 Paddison has been using injection drugs for seven years, and he's no stranger to needles, but with more and more of them littering Vancouver's streets, Paddison has a harsh message for other users carelessly discarding their dirty syringes. The number of needles showing up in parks, on sidewalks and elsewhere is on the rise. It's prompted complaints and concerns in neighbourhoods near the Downtown Eastside. But according to Vancouver city councillor Kerry Jang, the problem isn't limited to the area around the Downtown Eastside. Jang says the issue of potentially hazardous needles on the street is just a symptom of a much larger problem with Vancouver's struggle with drugs. "It's not just the Downtown Eastside, it's throughout the city now," said Jang. "The number of addicts are going up. In the City of Vancouver, you know, the number of overdose deaths — we've surpassed last year. 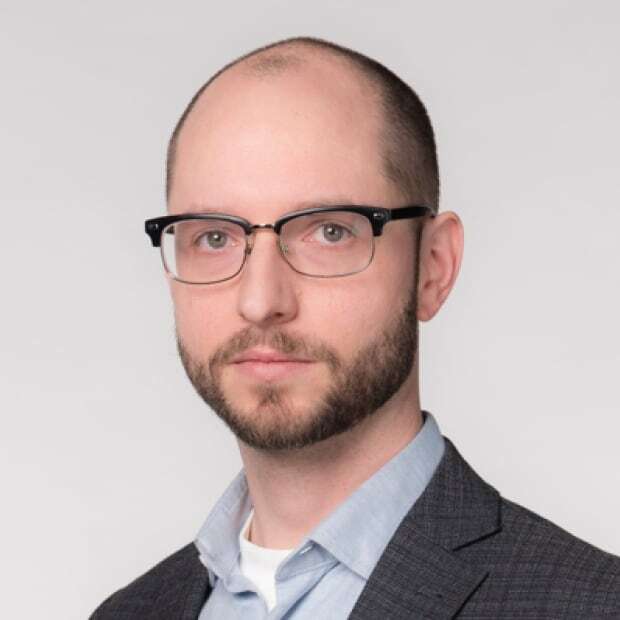 It really is a symptom of the overdose crisis that we're having right now," he said. "There are more needles being distributed to make sure that [drug users are] using clean needles and not reusing dirty needles, which leads to infectious diseases and other problems," said Jang. "Unfortunately a lot of [the needles] are showing up in our parks and waterways, for example," he said. Vancouver Coastal Health manages the distribution and collection of syringes through several service providers. While their numbers for collected syringes aren't exact, they sketch a picture of an issue that keeps getting worse. 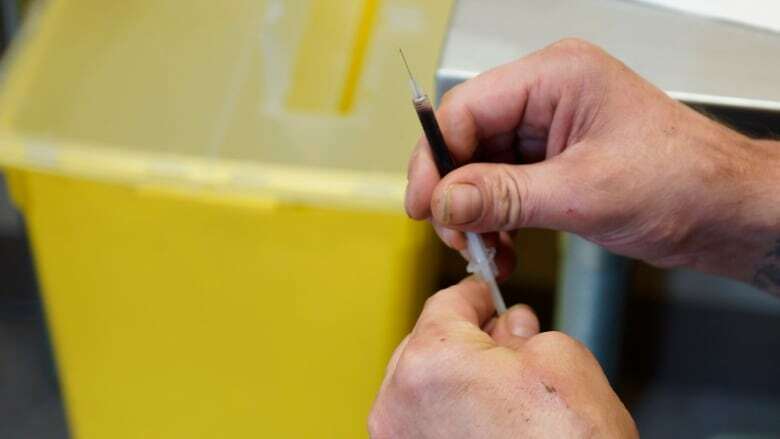 According to George McPhee, who supervises the OPS site, more than 1,000 needles will be used at the clinic each day, but many users also take a handful of syringes home with them to use later. "A lot of people, they'll use, they'll sit for a bit and then once they're ready to go, they'll take some to go," said McPhee. OPS is far from the only group distributing free, clean needles to the drug user community. Many local organizations have syringes available for drug users. McPhee says the staff at OPS will give users sharps containers to take home, and they do regular needle sweeps in the alley and on the sidewalk in front of the site. Jang credits supervised injection sites like OPS and Insite with keeping lots of needles off the street, and giving users a safe place to inject. But he stresses that the broader challenge with drug addiction and overdose deaths extends beyond the boundaries of Vancouver or even British Columbia. And he says it will take major action to improve the situation. "This is why we need and we've been pushing our health authorities, the new [B.C.] minister of mental health and addictions, for example, to take some really bold action," said Jang. "Start cleaning up the drug supply, you know, start doing more prescription opioids. Things like that will reduce the need for users to get needles, shoot up on their own and discard them on the street."